We may only be one month into 2017, but for many of us our New Year’s resolutions are long forgotten. I bet you’re in the thick of it already, fighting to keep up with candidate emails and interviews left to be scheduled. But the commitments that are the most fun (and easy!) to keep are about investing in yourself and your professional development. 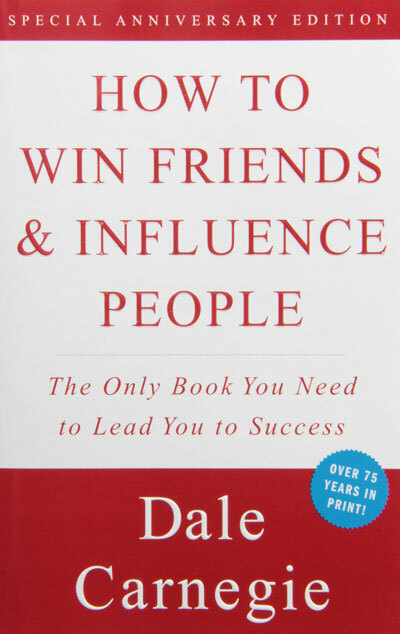 To get your personal growth back on track, here are seven books that made me a better recruiting leader and that I recommend to recruiter friends constantly - and now to you! The classic that will teach you how to build rapport and earn your candidates’ trust. I resisted reading this one for awhile – how could a book written in 1936 (!) 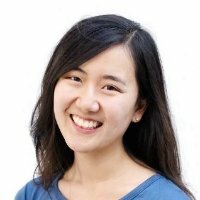 possibly help me in my fast-paced startup recruiting job? It wasn’t until a friend forced a copy on me that I found myself not being able to put it down. The ideas covered in this classic are foundational to Emotional Intelligence (EQ), which the best recruiters are masters of. Another reason I initially resisted diving into this one is because of the potentially misleading title. But instead of sinister strategies about manipulating people, it’s actually filled with very practical tips for improving your EQ skills that you can apply in phone screens, facilitating on-site interviews, and even during offer negotiations. For example, deliberately remembering a person’s name, being a good listener, and making them feel important - in a sincere way - can make you more likable as a recruiter. And earning your candidates’ trust will increase your chances of finding the right people and closing them. Sure, some parts of the book are a little dated. But the underlying ideas about human interaction haven’t changed much, and that’s why this near-century-old bestseller is rightly one of the most influential books ever published. The fun one -- startup lessons in a picture book for grownups that you can finish in < 1 hour. There is nothing more annoying than finishing a book and realizing it really should have been a blog post. This book is not one of those. The general tips about productivity, teamwork, and growth are an added bonus, and they’ll motivate you to work smarter, instead of just harder. 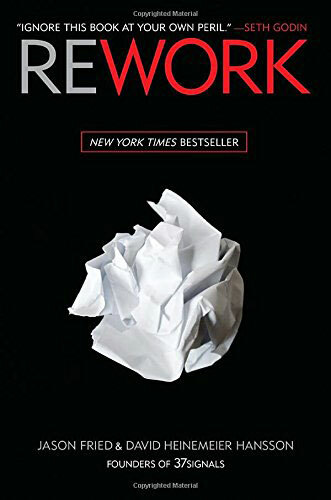 “ReWork” is a perfect place to start if you’re new to business books. The inspirational one that challenges the traditional employer-employee model to get you ready for the next-generation workforce. Workplaces are no longer just a place you receive a paycheck in exchange for your time. Rather, people increasingly want more professional development, mentorship, and a sense of purpose from their managers and companies. And those who adapt to this changing mindset will be able to attract and keep top talent. 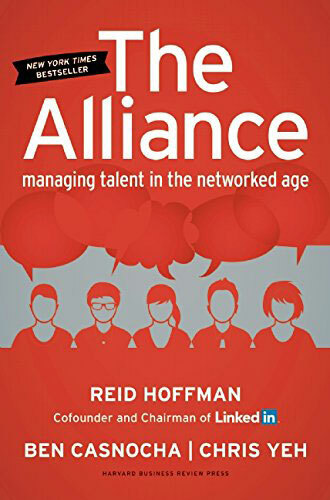 In “The Alliance,” Founder of Linkedin Reid Hoffman challenges us to have honest conversations with candidates about what it means to join a company and stay. The era of “lifetime employment” is over, and nobody expects to be at a company for more than a few years anymore. Thus, what candidates want to hear from you is how your opportunity will help their career growth. 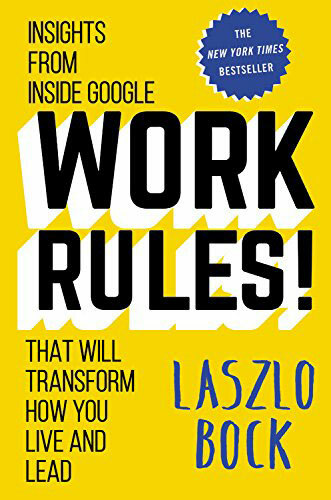 Reading this book will help you understand the trends in the talent landscape in very practical, easy-to-digest terms. Whether you’re recruiting VPs for a large org or millenials for a startup, re-examining the traditional “employment contract” will help you stay ahead of the future of HR. The one that will uplevel how you see requisitions and candidates forever. Have you ever been so engrossed in a project that time seemed to fly by, ideas came easily, and you were so energized it didn't even feel like work anymore? This is a concept called “flow,” and it’s going to look different for each of us. 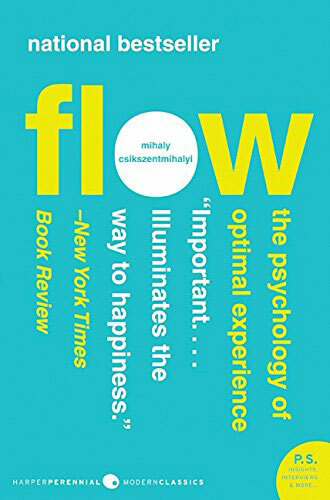 Renowned psychologist Mihaly Csikszentmihaly (pronounced Me-high Cheek-sent-me-high) shows us that this idea can be applied to find higher-quality candidates who will end up being the most productive and long-lasting hires. For example, if you meet a great candidate who describes her flow state as rapid idea-generating and creative problem-solving, she probably wouldn’t be happy in a role with a lot of routine maintenance work. Instead of placing her in a role that she’s likely to quit in a few months (and thus creating more future work for you), look for available roles in the most experimental, fast-paced departments, where she’ll be able to leverage her strengths more often. Recruiting is not just about filling reqs as quickly as possible. Finding the perfect candidate-job matche is one of the most fulfilling parts of being a recruiter – and facilitating others to live happier and fuller lives by connecting people to the right roles is probably *our* flow state. The one that made People Ops data easy to understand -- learnings from Google’s hiring process. For example, by analyzing thousands of interviews, scores, and offers, Bock and his team found that generally, all you need are 4 interviews to make a hiring decision. In other words, an 8-person interview panel will probably not help you identify and evaluate the candidate much better than a 4-person version, so you might as well save everybody the time. Furthermore, Bock is honest and open about previous mistakes and failed experiments, like the famous ‘brainteaser’ interview questions (e.g. “How many golf balls would fit inside a 747?”). The takeaways are incredibly valuable - without you having to go through thousands of interviews yourself! The one that will help you identify, evaluate, and recruit a broader candidate pool. You’re either an introvert, or someone close to you is. 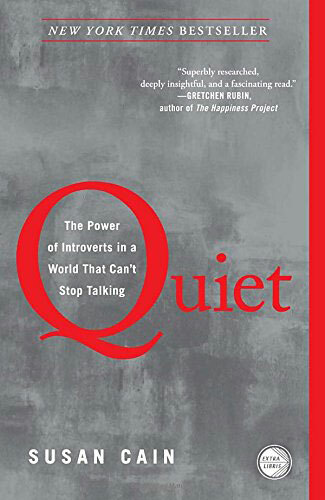 “Quiet” will help you better understand the introverts you come in contact with, including hiring managers, interviewers, colleagues, and of course, candidates. And with that understanding, you’ll be more effective as a connector of jobs to people. Susan Cain’s powerful bestseller, published on the heels of one of the most popular TED talks of all time, provides an in-depth explanation of what it’s like to be an introvert in our extrovert-dominant society: how they’re wired differently, prefer to communicate, and connect with others. This is key because the recruiting process can often inherently be biased towards extroverts, especially those who seem more high-energy and talkative. But a lot of your introvert candidates (estimated 40-50% of the US population) may not be set up for success in standard interviewing processes. For example, introverts often excel in jobs that require careful attention to detail and heads-down focus for long periods of time, like accountants, librarians, software developers, etc. (Don’t worry, extroverts can excel in these jobs too!) But often, one’s ability to interview well isn’t always a predictor of how they’ll actual perform in the job. Given the abundance of successful, introverted professionals like Bill Gates, Mark Zuckerberg, and Marissa Mayer, deeper understanding of how to better work with more types of candidates (and hiring managers!) will be a powerful addition in your recruiting toolbox. The one that’s so ambitious, yet full of practical tips to aid your quest to build a top-talent organization. Of all these impactful books, this is the one I most frequently recommend / order endless copies from Amazon to lend out. 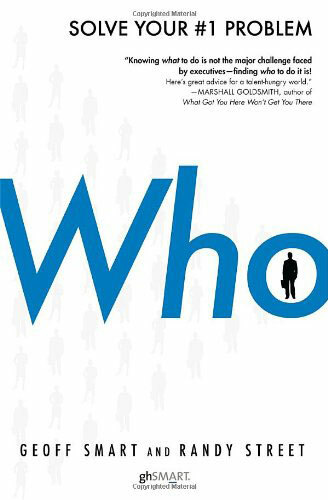 A must-read for any recruiter who wants to be effective in building the best team possible, “Who” breaks down the most common and expensive hiring mistakes and presents brilliant, yet practical solutions that can be implemented at any organization. There’s a reason this is one is a favorite among many CEOs, founders, managers. The People decisions you make (“the who”) are by far the most important in a business Those you put in charge will define the What, the How, the culture, productivity, strategy, and so on – and that’s what makes recruiters increasingly more influential in companies, as the facilitators of the process and guardians of talent quality. Every hiring manager should be required to read it too, before they make their first hire ever. If every team were to adapt methods from “Who” – surely, the world would be a better place with happier and more productive employees! What are you waiting for? Choose one of the above books to invest in your own professional development, or better yet, order many copies for your colleagues and hiring managers to join you in a book club. Connect with me on Linkedin and find me on Twitter - I’m a former recruiter and write about tips, learnings, mistakes, and everything in-between. You can also find me on the Lever blog.